Tyson Foods: Victory in Defeat for Class-Action Defendants? At first glance, the Supreme Court’s recent class-action decision, Tyson Foods v. Bouaphakeo, may seem like a triumph for the plaintiffs’ bar. Dividing 6–2, the Court blessed the use of “representative evidence” that ignored differences among class members to facilitate a classwide trial. But while Tyson’s top-line result favored the plaintiffs, a closer reading gives class-action defendants much to be encouraged about. The Tyson case involved the claims of 3,344 workers at Tyson’s Storm Lake, Iowa plant who were allegedly denied pay for time spent “donning” and “doffing” protective gear. Tyson argued that the time each employee spent donning and doffing was an inherently individual question, requiring employee-specific evidence. The lower courts, however, permitted the workers to prove their claims through “representative evidence”: an expert witness timed a small subset of workers donning and doffing, averaged those observations, and then extrapolated those averages to the entire class. 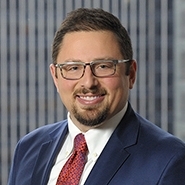 To continue reading Jonah Knobler's article from Bloomberg BNA’s Class Action Litigation Report, please click here.